British fresh pasta maker Giovanni Rana has launched a new variety of tortellini to add to its wide array of filled pasta products. This new pasta addition is the Giovanni Rana Gorgonzola and Walnut Tortellini. The new tortellini variety is made by combining walnuts and gorgonzola, a recipe that has always been enjoyed by Italians. As with all of the company’s current products, Giovanni Rana chose the ingredients himself for this new type of filled pasta, assuring consumers that only the best and freshest ingredients are used in creating it. The new tortellini is also a convenient pasta meal, as it will be ready to serve after popping it in the microwave for just one minute. 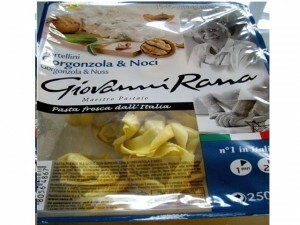 Every pack of this Giovanni Rana pasta serves two people who want to have a satisfying, yet quick meal. This new pasta variety joins Giovanni Rana’s current selection of filled pasta which include “Rich Italian Beef Bolognese,” “Tomato and Mozzarella Tortelloni” (a traditional pasta which is over-filled) and “Prosciutto Crudo and Cheese Cappelletti” (small pasta envelopes shaped like a hat and stuffed with a rich filling). This new tortellini has already been available in major retailers nationwide since September 2011. It will be hitting the shelves of Nisa-operated stores by October.